How Many Favorite Buffy Episodes Do You Have in Common with Joss Whedon? Logo is airing Joss Whedon’s handpicked favorite Buffy episodes this weekend and as an experiment I decided to see where Joss and I meet in terms of favorite/best episodes. Before glancing over his picks, I gave a cursory glance over a Wikipedia episode listing. Obviously, some episodes spring to mind without question and because of that, Joss and I overlap 50%. I am not going to rag on Joss for choosing eight episodes that he either wrote or directed or both especially since it stands to reason those best represented what he wanted his show to portray. Any individual fan’s list is going to be populated with odd favorites or moments that personally resonated. I looked for those while also trying to pay service to each season. I approached it with the same mindset I would use if planning my own one-day only engagement of the Best of Buffy. But let us be real for a moment: the only way you are truly going to get the best is by watching all 144. 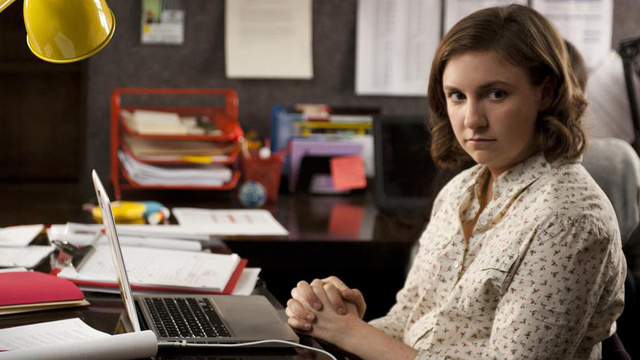 Season 1 – I like the beginning; Joss prefers the end. My pick =Welcome to the Hellmouth (1×01): As a first episode, it expertly introduces you to Sunnydale, the Scooby Gang, the Slayer mythology, and the colorful vocabulary of the players. Joss fact! : he wanted Eric Balfour’s name in the title credits so viewers would be shocked when he died. Joss = Prophecy Girl (1×12): As a season finale it demonstrated how high the stakes on the show could become and how heartbreaking: witness Angel being unable to perform CPR on Buffy because he has no breath and Xander stepping in to save the day only hours after getting rejected by Buffy. Pretty cool in a depressing sort of way. Joss fact! : He intentionally saved the Buffy and Master’s meeting for this episode to avoid a pattern of Buffy repeatedly beating him in every episode. Season 2 – Once again I prefer the happier beginning (Surprise) to the gritty aftermath (Innocence). Although after thinking about it, I would prefer to compromise and say that together it is just one really awesome story. Joss and I agree that Becoming Part II is badass. Innocence (2×14): …ends with him reverting to Angelus. Now Buffy has to deal with the Judge, Spike, Drusilla and her soulless boyfriend. Ugh, I think I am being convinced by Joss’ choices over mine. According to Wikipedia, this is also the highest rated episode ever and the one that Joss usually lists as his number one favorite episode. Glad people tuned in to one of the best. Joss fact! : I like the line from Joss in the commentary about fans wanting Buffy and Angel to be together: “What people want is not what they need.” Oh Joss, never change. Becoming Part II (2×22): The season two finale is definitely the show firing on all cylinders. Seemingly impossible odds, strong character moments, and the ultimate sacrifice, all on display. And Sarah Maclachlan could still be used in the closing scene, without irony. Season 3 – Joss likes Vamp Willow and I like the final moments at Sunnydale High. The Wish (3×09): Cordelia wishes that Buffy never moved to Sunnydale and we get to see what that world would actually look like: it is no cakewalk. It is an interesting exploration into all the good that Buffy does in such a short period of residency. Doppelgangland (3×16): Vamp Willow comes to torment our story’s timeline as the result of Anya’s failed attempt to get her powers back. And Joss does an excellent job of using all of what we have come to learn about our characters over three seasons. Graduation Day Part II (3×22): The whole graduating class coming together, prepared to fight off the Mayor’s plan? That was beautifully executed. As were goodbyes to familiar characters like Cordelia and Angel. Joss Fact! : The WB delayed the airing of this due to Columbine, but it was not delayed in Canada, prompting Joss to say “bootleg the puppy.” Brilliant. Hush (4×10): The only episode to be nominated for an Emmy for Outstanding Writing, Joss decided to tackle critics that believed dialogue drove Buffy’s success. Joss fact! : The concept for the monsters (the Gentlemen) originated from a childhood nightmare. Holy hell Joss, that is freaky. Restless (4×22): Like Hush, the fourth season finale is a very experimental episode. I think it captures dreams in a very realistic way (and far less disturbing than The Cell). I realize that not every week can explore sweeping epic themes but when Joss goes for innovative concepts, he hits them out of the park. Joss facts! : This is a coda to season four because Joss wanted to create a character-focused episode that concentrated on what had just happened and what might be in store for the future. The Cheese Man has no meaning. Season 5 – Joss places more emphasis on Season 3 (or Vamp Willow) whereas extended an extra season episode to Season 5. The Body (5×16): This is just a great episode. Upsetting, thought-provoking, so much realism it hurts. It is painful to even discuss the various aspects that make it so great. Really a triumph in television. Joss fact: His mother also died of a cerebral aneurysm. The Gift (5×22): I don’t know how fans would have coped with this being the actual finale, but it definitely has the feel. The apocalypse is nigh, everyone bands together in an epic final push to save Dawn and the world. Buffy dies. But if the show ended here, we wouldn’t have Once More with Feeling so, thanks UPN! Season 6 – When I think of this season, Once More, with Feeling is the primary episode that comes to mind. Since this is the only episode written and directed by Joss this season, I guess he feels the same. Once More, with Feeling (6×07): Multiple Joss facts…: After a Shakespeare reading at his house turned into an impromptu singalong, Joss realized that many cast members would be game for a musical episode. He finally found time in the sixth season, learning how to play guitar in the process of creating the score. Adam Shankman choreographed. Us fans got what is probably the most effective use of a television musical episode ever. Another groundbreaking episode. Season 7 – Joss goes for the isolated character/death exploration and I go for the funny. Conversations with Dead People (7×07): The result of different writers working on different characters, this episode isolates the storylines while continuing to move the plot. Buffy, Spike, Dawn and the remaining members of the Troika (Jonathan and Andrew) are each presented separately but united around a common theme: you guessed it, dead people. Secretly, a pretty ambitious episode with a lot to say. Storyteller (7×16): When I originally watched season seven, I was stuck in a depression over the series ending. When I rewatched it a few years later, I was struck at how disturbing and unnerving this season turned out to be. While Storyteller ends on a negative note, the majority of the episode is hilarious. Andrew utilizes his unique humor and observation skills to tell his version of what is going on at 1630 Revello Drive. 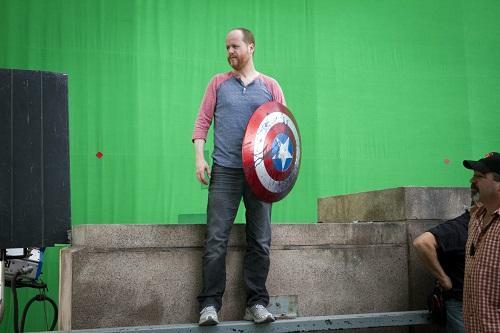 Joss Whedon posted on his blog about the success of The Avengers and it is predictably awesome. He confirms that he is an unemotional alien and that he is ditching us to “concentrate on fame [and] Euro-trash guy-jewelry.” But seriously, he acknowledges the buzz about his new big shot status and confirms that his modesty is intact: with The Avengers he will now be recognized at Comic-Con, be able to pay for a meal that includes truffles AND direct that much anticipated Air Bud reboot. What did Whedonites need to hear? Exactly what Joss tells us: “What doesn’t change is anything that matters.” He calls us his peeps and himself a cult oddity. It is ridiculous how effortlessly he could fit into the Buffy cast picture here. “Because you knew me when. If you think topping a box office record compares with someone telling you your work helped them through a rough time, you’re probably new here.” Insert many emoticons of happy sobbing. But topping a box office record is “super-dope”! Hooray! My fellow Whedonites, he is taking us with him into the mainstream: “this is our time of streaming into the main, to crow. To glow. To crow and go ‘I told you so’…”. He momentarily jumbles my mind by mentioning Christopher Nolan and The Dark Knight Rises. Nolan became one of my favorite directors with Memento, and he has gone mainstream with relative success at staying true to his vision. So, even more hope for a continued world of Whedon. Anyone concerned about Dr. Horrible 2 and Much Ado about Nothing? He says Dr. H is cooking and Much Ado is on its way. Also, TV is his great love. I am pretty sure growing up with Buffy has shaped my life into Joss Whedon’s image. Finally, as if this post didn’t just make my life complete already he concludes: “Hope you’ll continue to carry the banner even though other people may have joined the parade. 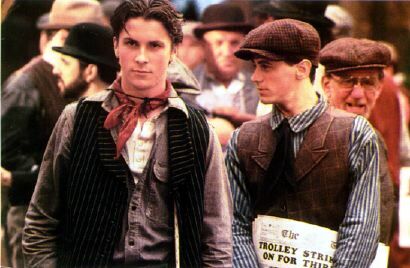 (Kind of a gay pride/Newsies vibe…”. He did it. He effin’ concluded with a Newsies reference. I am content to sit and write about my favorite sitcom quotes from this week, what Ewan McGregor movie I have seen 500 times, and even what show decided to annoy me for the last time. But in real life, I am very interested in the role that pop culture can play in changing perceptions and informing the general public. The use of popular culture in this way is not surprising and two news items from this week help illustrate my point (and after I get sad about the world, I attempt to identify some positive utilities): North Carolina and Maurice Sendak’s Brundibár. And I shoehorn The Whistleblower in at the end. One thing that is bothering me is the rampant disparaging remarks against “North Carolina” as if it is monolithic. It may be in part due to the fact I grew up in geographical proximity to the state, but obviously not everyone voted “Yes” to the amendment. Just think how horrible it is to love your state and yet, see that you are surrounded by people that disagree with your views on such a fundamental level. I am Virginian, I know a thing or two about this feeling. 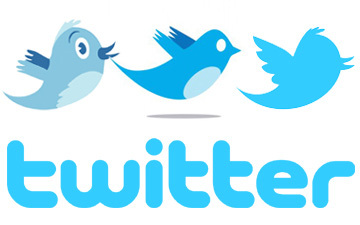 Pop culture bright spot #1: Twitter really is a social media monster; it allows for loud, instantaneous reaction to any bit of news. Naturally, my feed was engulfed by outrage and disappointment over the results in North Carolina. Hopefully many apathetic individuals are slowly coming around to formulating their own opinions, based on outcry. Pop culture bright spot #2: On the same day the New York Times discussed the North Carolina issue, it was also analyzing how vastly the entertainment industry has changed, in a mere decade, over portraying LGBT characters and storylines. Edward Schiappa, a professor at the University of Minnesota believes that “TV and movie representation matters.” He has found that gay characters on TV have decreased prejudice among viewers. Pop culture bright spot #3: People like Jack Antonoff and his band fun. get to utilize success as a platform to discuss LGBT issues and highlight the optimistic romanticism of their lyrics. Seriously, seeing them live was a celebration of equal rights and diversity. They have deservingly won many fans not only in the LGBT community but from all walks of life. If their fans (and particularly the high schooler set) truly believe in the lyrics that they scream back to Nate Ruess, then we can chalk up another positive influence to kids these days. UPDATED Overall life bright spot: President Obama has gone on record promoting marriage equality. I am impressed. It is almost Newtonian (for every action there is an equal and opposite reaction…) when viewing it with North Carolina’s vote. Never would I have dreamed this would come up before the election. So glad Obama got to finally back something he has likely been in favor of for decades. Politics. In the wake of so many tributes to Maurice Sendak, his work with Tony Kushner on Brundibár (as a book and opera) has been mentioned a few times. Brundibár is a children’s opera originally conceived by Hans Krása at the onset of World War II. The show had begun initial performances at an orphanage in Prague before the Nazis came knocking. Being a Czech Jew, Krása was sent to the Theresienstadt (Czech: Terezín) concentration camp in1943 along with many of the children who had rehearsed for the opera. Brundibár was performed 55 times at Theresienstadt before Krása and most of the children were deported to Auschwitz; upon arrival, most of these prisoners were immediately killed. I toured Terezín in summer 2009. It is a powerful, transformative place and it remains hard to pin down my emotions on the visit. I got to see what it meant to be a “model” concentration camp, if you pretend not to see the execution wall. The model was meant for the Red Cross, sent into the camp to investigate the treatment of the prisoners. There they found pristine looking bathrooms, a swimming pool and a cinema (with the pool and cinema being for German officers). An oasis in Central Europe during the height of World War II? Of course not, these things were for show. In fact, the bathroom was so pristine because it was never used. To avoid the look of overcrowding, many Jews were deported to Auschwitz before the tour. The Red Cross was also treated to a performance of Brundibár. In the ghetto I took a peek into the schoolhouse where the children spent their time and saw their drawings. The adults in the ghetto were dedicated to the children’s continued education despite their conditions. That night, I was a little more reckless, and embraced carpe diem as an escape. It is really difficult to wrestle with the terrors of a mere 60 years ago. Pop culture bright spot: The opera contains many anti-Nazi sentiments and the Brundibár in the play is a stand-in for Hitler. While the opera was a vital tool in giving the Terezín children something to preoccupy their time, it also gave the adults a platform to remain resistant to their circumstances. Performances of Brundibár increasingly provide an opportunity to remember what happened at Terezín and to celebrate the lives that were lost. This is one of the most depressing films I have seen this year. I only want to quickly mention it because I struggled with finding the bright spot here. The film is informative about human trafficking and the fallibility of organizations we put our trust in to defend universal human rights. A scant pop culture bright spot could simply be that this film exists; it is a gateway to discussion and enlightenment about injustice. But seriously, it wasn’t marketed to be a major film. 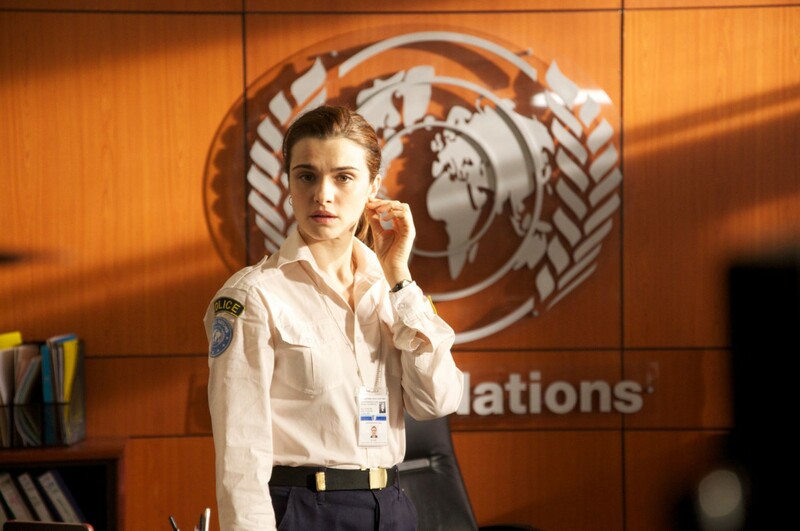 It has been propelled via word of mouth, the Rachel Weisz fandom and possibly, the discount I got on renting it from Amazon Instant Video. I hope it makes the rounds because it is especially disturbing if you are committed to peacebuilding. Mismanagement and misconduct in missions is a problem facilitated by the “aid chain” and no one is close to finding a solution. And just to lighten the mood, no, I will not neglect to mention that Benedict Cumberbatch is also in the film (the whole cast is basically Brits playing Americans, hello Liam Cunningham!). Benedict is literally in two scenes and effectively plays a douche. I got the feeling he was involved in the cover-up but the film provides no reason as to why he even exists. Maybe there are scenes on the cutting room floor? This is another issue – I have to applaud a first time female director, but the film needed polishing. At first, I struggled to come up with any kind of post for The Avengers other than “Joss Whedon is my hero; Loki is the best character ever, the Joss-iest moment was Agent Coulson…or the threat of higher authority!” blah blah my usual rants. But then as I watched Game of Thrones “The Old Gods and the New” I was inspired to compare Loki and Theon and the circumstances that led them to make choices that were…regrettable. And the kicker: the main issues for both are identity and power. To not know your place in the world, to constantly question your purpose: that is a heartbreaking hand to be dealt. And there are multiple avenues to take; you could go soul-searching à la an Eat Pray Love quest or you could lash out, even attack. Unfortunately, Loki and Theon decide on the latter. The greatest tragedy is that for the viewer it is easy to see that Theon has, if not a real brother, a true friend in Robb and that Thor has never stopped loving Loki. I naturally hone in on the “evil genius/criminal mastermind type,” especially if redemption is possible. It is no accident that I love Ben Linus from Lost, Petyr Baelish from Game of Thrones and Sylar from Heroes. That whole undiscovered capacity to be good thing is sort of like catnip to me. (And separate from my other Strange Attractor, unattainable men: the Doctor, Sherlock…). These guys range on a scale of evilness and I admit the evil thing is part of the attraction (I would have included Christoph Waltz’s Hans Landa from Inglourious Basterds except he is completely unjustifiable.) But I guess due to his lack of demonstrated finesse, I don’t find Theon as redeemable, just tragic. Loki, on the other hand, loads of potential redemption. And admittedly, this post is weighted heavily toward Loki, but you know, Theon is sort of a lost cause in his current state (not counting what happens in A Dance with Dragons). My discussion will include plot points up to episode 6 of Game of Thrones season 2 and both Thor and The Avengers. The tragedy of Theon Greyjoy is that he truly belongs nowhere, due to no fault of his own. He is taken from Pyke before he is old enough to get the gist of what it means to be iron born. He is still malleable. He is taken in as a ward at Winterfell and raised amongst the other Stark children, including another outsider: Jon Snow. Catelyn Stark seems to take issue with anyone who is not her own child but other than that it appears the Starks raised Theon well. Robb regards him as a brother and takes him into his confidence, especially on the battlefield. But upon his return, Theon realizes that being raised a Stark means no longer fitting in with the Iron Islanders back home. From here it is a train wreck in slo-mo as Theon decides to side with his father Balon Greyjoy in waging war against Robb and the North. Hoping to impress his father and prove his worth, “The Old Gods” finds Theon capturing Winterfell, and in way over his head. Theon’s Brief Moment of Clarity: Lacking conviction in words and actions is one thing, but the realization that things would be so much better if time could be rewritten is another. 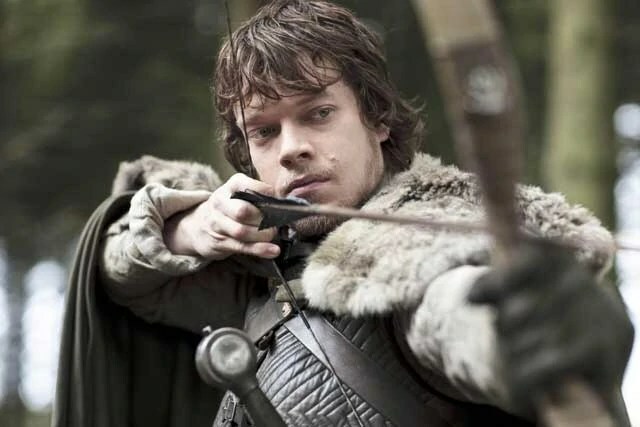 For Theon this realization happens as he finds himself pulled between the competing parts of his identity: the Starks have taught him that the disrespect Ser Rodrik shows by spitting in Theon’s face warrants a trip to the dungeon, but on Pyke, the same prisoner would be executed. At the risk of looking weak, he must execute Rodrik, even as his face deceives his conviction that this is the right call. With Bran, Rickon, and Maester Luwin all pleading for him to do otherwise, you can see how very much he wants to listen to them; to take their advice. Earlier in the episode, Bran asks Theon, “Did you hate us the whole time?” and he looks conflicted even then, probably knowing that the answer would make him dredge up suppressed memories, making the siege of Winterfell unbearable. I am glad this scene with Bran was included in the series; at this moment in the book I felt beyond betrayed: if only Theon had the capacity to see that Bran also regarded him as family, as a friend. Waking up to find Theon in his rooom was disorienting to Bran but not unwelcome. I think Theon hoped the blending of his two identities (Winterfell and Prince of Pyke) would result in a new sense of purpose that would illuminate the right path for his life to take. He could serve up Winterfell as a show of his merits while being surrounded by familiar faces and fortifications. But when he realized there was no way to back down from executing Rodrik, he had to acknowledge how far out of his depth this plan reached. Those familiar faces at Winterfell were going to suffer because of his actions. Arguably, a person with a keener mind (the Littlefingers and Tyrions of Westeros) could have spun events to spare Ser Rodrik but alas, the tragedy of Theon is his utter lack of ability. This may be giving him too much credit, but I hope Theon also realized (as he chopped and chopped at Ser Rodrik) the siege was a mistake because Winterfell was more of a home than Pyke could ever hope to be. Robb is the closest thing to family he cultivated in this world and he squandered it. And boy, this is a lesson Theon is going to learn again and again. Quick! Someone time-turn this narrative back a few years, give Theon a hug with some encouraging words and then let’s see what happens. If I could characterize a way for you to read my feelings on Theon, it would be disappointment and a sad sense of finality. Loki descriptions, on the other hand, will probably be projected with undying love and understanding. Theon got a rough start in life, leaving him with a skewed sense of identity. Loki (as depicted in Thor) is initially only messed up because of sibling rivalry and an inferiority complex. Those pesky identity conflicts crop up later. Odin raised Thor and Loki together, even though it is sort of obvious Loki came out the black sheep. Thor is the golden boy and seems predestined to reign on the throne of Asgard. In his oafish manner, Thor also expects the throne but fails to see the jealousy of his brother. 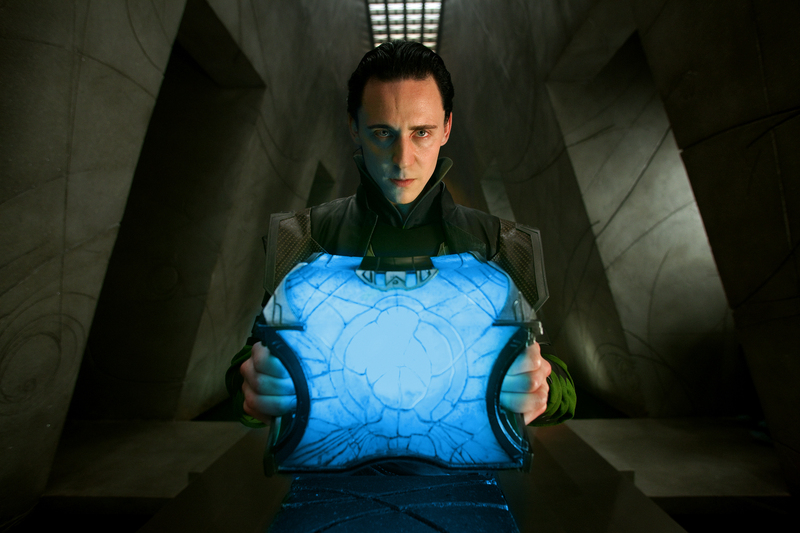 In the first of many ill-contrived plots, Loki decides to hatch a scheme that ruins his brother’s coronation by letting Frost Giants into Asgard; this in turn prompts a trip to Jotunheim where Loki begins to suspect his true parentage. Finding out you are really a Frost Giant is a shocker (but probably somewhere he suspected he was, well, different) but thanks to his pre-existing jealousy, this information makes Loki go officially off the deep end. Odin and Thor make it explicit how much they love and care for Loki but this doesn’t register. Odin hopes that Loki will see his higher purpose in the idea that he was taken to unite Asgard and Jotunheim in peace. Instead, Loki schemes to conspire with his father Laufey: he lets Laufey into Asgard to murder Odin, only to actually save adopted daddy Odin (by killing real daddy Laufey) and prove to him and Asgard that he deserves the crown as well. Here it becomes obvious that being a Frost Giant was never the issue for Loki. It was that damn sibling rivalry and competition for Odin’s attention. After all these machinations, Odin comes to stop the final fight between Thor and Loki, leaving Loki dangling off the rainbow bridge. Odin refuses to accept Loki’s excuses and Loki lets go of Thor, falling into the abyss. Loki: I never wanted the throne, I only ever wanted to be your equal. 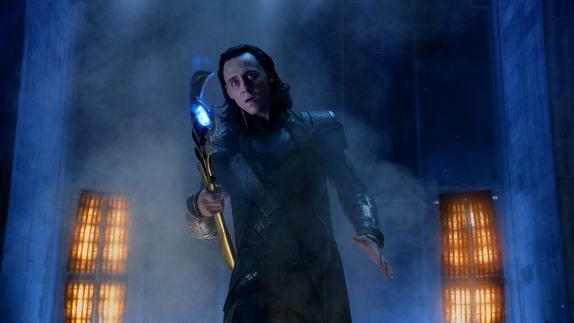 Sadly, (at least for me), Loki goes through a sort of seven circles of hell experience where he probably over paid for his transgressions in Asgard and emerges as a guy whose “brain is a bag full of cats.” He meets up with the Chitauri and sees an opportunity to come back with a vengeance, but actually he becomes a pawn in their acqusition of the Cosmic Cube and to orchestrate an invasion of Earth. In a chilling scene, the Chitauri leader lets Loki know that if he messes this up, there is nowhere in the universe to hide. So now he is definitely in too deep, if let’s say, later he realizes this whole thing is one giant mistake. My favorite parts from The Avengers are the scenes where we get to see Thor attempt to reason with Loki; after all, Loki is the reason that Thor is taking part in these proceedings. 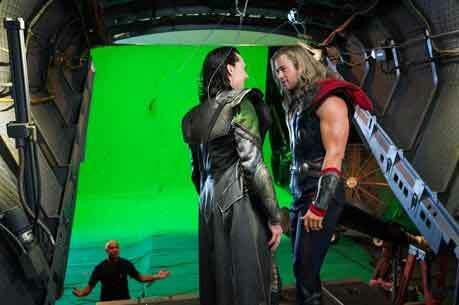 (Thor: “Loki is beyond reason, but he is of Asgard. And he is my brother…”) While they discuss the fact that Thor did mourn for him, it does not compute to Loki that Thor is happy to find him alive. Yet Thor still refers to him as his brother even if he is “adopted.” But if he is tempted by Thor’s offers to come home, his hands are already tied. Loki’s Moment of Clarity happens right at the end: it seems as if Thor has gotten through to him; he wants Loki to switch sides and help the Avengers protect the Earth. You can see in Loki’s eyes that yes, he wants this because he does lack the conviction to carry through with this war but the THREAT that he will be hunted down and what it would mean to concede becomes his driving force. And he has another threat to worry about, as Tony Stark mentions: “There is no throne, there is no version of this where you come out on top. Maybe your army will come, maybe it’s too much, but it’s all on you.” Loki, like Theon, wavered at his lack of conviction but circumstances led him here: he had to carry through to the end, no matter how much he might want to convey “oops, let’s rewind” to his brother’s team. Re-watching “A Scandal in Belgravia” last night, I remembered a critique I initially had upon my first viewing: namely, how the episode begins by showing Sherlock’s catapult into the public eye, along with front page coverage of him in a deerstalker hat. The hat was a nice nod to Doyle’s Sherlock but the notoriety was undeniably Moffat-esque, especially coming off the heels of Doctor Who’s most recent season. I immediately thought (SPOILERS for the rest of season 2): well this season Sherlock is going to become too famous for his own good and the show will end up with him faking his own death to remove himself from the spotlight. (This could have been paranoia from the Doctor doing just that but yet in the end, same thing). We always knew we were going to have to do Reichenbach, and yes, indeed, I did have the Doctor faking his own death – though by slightly more elaborate means! The problem is, I’m in charge of both shows, and what I can’t ever do is not do something in one show because I did it in the other. Ninety-nine per cent of the audience haven’t a clue who I am or know that I work on both of them, so you just ignore things like that. They are two swashbuckling geniuses; they’re always going to be doing similar things. Now, this is all well and good except it is complete BS. He is being a bit too modest about how recognizable his name is to the audience. And inevitably when one of his shows is under discussion, that person or article will also link him to both Sherlock and Doctor Who. It is hard to ignore I had just seen the same story arch take place a few months beforehand AND it really doesn’t help that the Doctor and Sherlock share so many of the same characteristics, made all the more apparent by Moffat’s treatment. Another problem? It isn’t just that they both faked their own deaths…it is also the why. The Doctor and Sherlock both reached a point where their infamy preceded them and their lifestyles became unsustainable. To be honest, I love Doctor Who and I love Sherlock: my issue is that Moffat is famous for his “wibbly wobbly timey wimey” plots, and his ability to take that wonky structure from Coupling to the likes of Doctor Who and Sherlock. His results are often brilliant but the way in which the deck becomes stacked is starting to look more and more familiar. To conclude, I guess this is a classic argument against the one head writer format of the UK. There are pros and cons to all formats but maybe a bit more input from other writers could even out all the Moffat-y bits so that his most striking ideas shine through.